Jennifer Zeldenrust has been with DeWitt Insurance since 2010 and works both in the personal lines department as an agent and in agency marketing/advertising. She currently holds the CISR Elite* designation, earned after completing the required course of study in 2017. Jennifer most enjoys the relationship aspect of the job, and strives to build a strong rapport with her clients. Education is also important to her, and she plans on obtaining additional licensing. 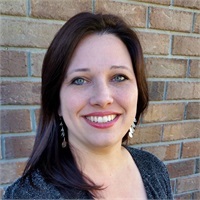 Jennifer assists with local marketing efforts through community events, and has completed the Leadership Effingham course through the local Chamber of Commerce.